This is a great side or snack… The kids love it and I love picking on it when they have it! Using olive oil, and cutting out any dehydrated potato or additional starch or flavour that can be found in commercial potato products, these take 25 minutes in the oven. As quick as most frozen oven chips, and cheap too! 2. Cut the potatoes in to eight and spread out on a baking tray. 3. drizzle the olive oil and pinch of sea salt over the potatoes and give them a shimmy. 4. bake for 25 mins (or until the flesh is browning and they’re cooked through) The sauce here comes from our Chilli Chicken Bestival Kebabs recipe… Which was inspired by Tim’s weekend jolly (sorry work trip) to Bestival a few weeks ago! 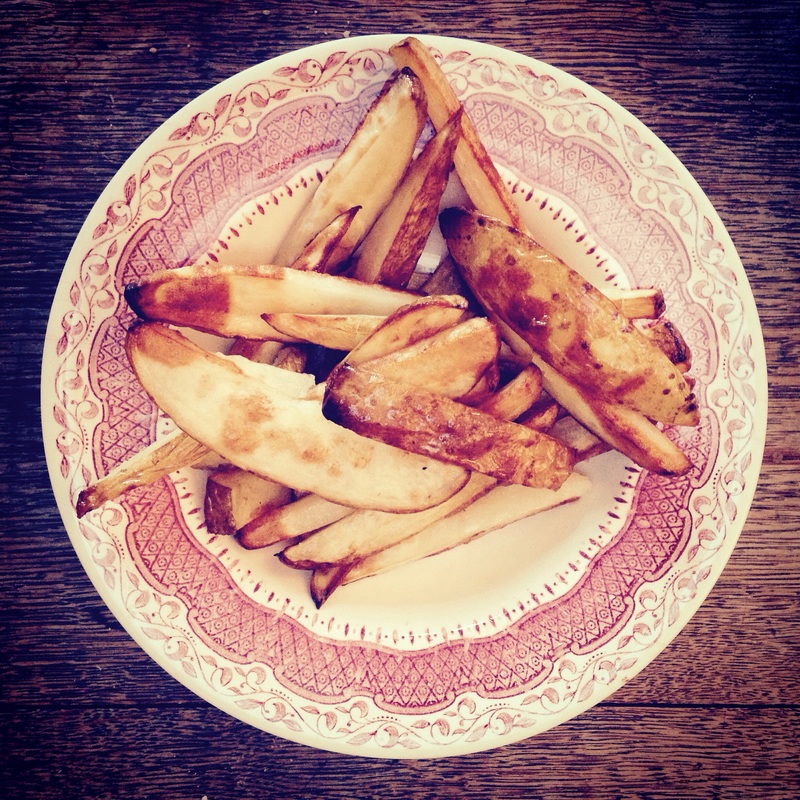 If you fancy chicken with the chips check out this recipe…! 1. On a low heat add the rapeseed oil, coriander seeds, garlic, chillies, ginger and lemon juice. Soften but do not burn the garlic. 2. Add the coconut milk and simmer to reduce. 3. Remove the ginger from the pan and discard. 4. Add the yoghurt to the pan and mix to make a creamy sauce.